DOYLESTOWN (PA) – The Delaware Valley University football team seeks its 12th postseason appearance in the last 13 years when it hosts archrival Widener University for the Keystone Cup on Saturday, November 14. Kickoff for the Middle Atlantic Conference (MAC) contest, which is also Senior Day for DelVal, is slated for 1:00 p.m. The Aggies suffered a 43-42 defeat last week at Lycoming College, which dropped them to 7-2 overall and 6-2 in the conference. DelVal now sits in a three-way tie for second place in the MAC with Widener and Stevenson University. Albright College controls its own destiny at 7-1 and can clinch the conference crown and an automatic bid to the NCAA playoffs with a victory against Lebanon Valley College. DelVal can still claim a share of the MAC title and the playoff berth with a win plus an Albright loss, as the Aggies own the head-to-head tiebreaker. If the football team cannot capture the conference championship, it is still in contention to participate in the first-ever Centennial-MAC Bowl Series. The Keystone Cup has been handed out annually to the winner of the DelVal-Widener contest since 1981. The Cup, which got a makeover after the 2011 season, symbolizes small college football excellence in the Philadelphia area. 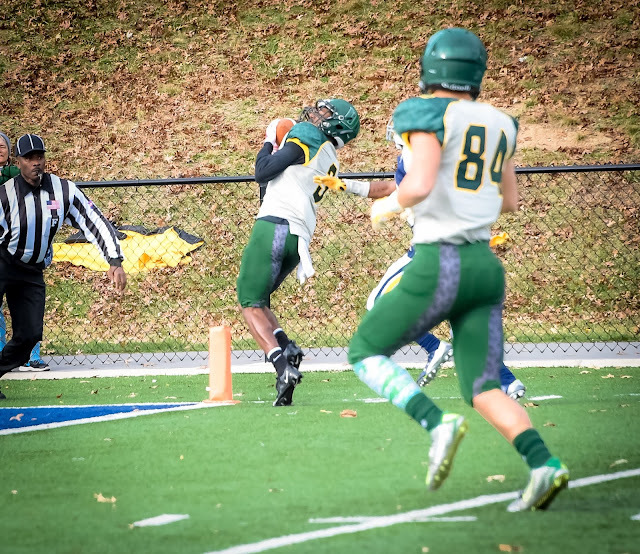 DelVal has taken home the Cup in eight of the last 12 years, but the Pride currently have in in their possession thanks to last year’s 44-28 victory. The Aggies rank first in the conference and 10th in all of Division III with 287.3 rushing yards per game. DelVal is also second in the MAC in total yardage (419.7 ypg) and fourth in scoring (27.1 ppg). This will be the fourth start at quarterback for freshman Dashawn Darden (Norristown, PA/Cardinal O’Hara). He has played in every game, but took over the starting job after the Stevenson contest. Darden has completed 34 passes in 61 attempts for 528 yards and eight touchdowns. He has thrown just one interception, but none in his three starts. Darden recorded his second straight three-score game against Lycoming and was 10-of-16 for 145 yards. He is also a threat on the ground, totaling 469 yards and three touchdowns on 67 rushes. Darden carried the ball eight times for 52 yards and a score last week. Freshman wideout Eric Shorter (Trenton, NJ/Princeton) is coming off his best game of the season, where he made four grabs for 92 yards and a pair of touchdowns. He also returned kicks for the first time and amassed 178 yards on three returns, including a 97-yard touchdown in the second quarter. Shorter’s effort garnered MAC Special Teams Player of the Week honors. He has made a team-high 19 catches on the year for 351 yards and three trips to the end zone. Wide receiver Tyler Bing (Galloway, NJ/Absegami) has made his presence known both in the passing game and on the ground. The junior has caught 17 passes for 205 yards and one touchdown. Bing has added 352 rushing yards on 38 attempts and has reached pay dirt five times. He was held without a catch by the Warriors, but ran the ball five times for 31 yards. Sophomores Devauntay Ellis (Ewing, NJ/Ewing) and Armani Fuller-Williams (Philadelphia, PA/Mastery Charter) and junior Robert Cleveland (Willingboro, NJ/Willingboro) share the workload in the backfield. Ellis, a junior college transfer, is the leader with 674 yards on 82 attempts and has scored five times. He had a 107-yard performance last week on just 11 carries. It was the third time this season that Ellis eclipsed the century mark. Fuller-Williams produced 77 yards and a touchdown on 12 opportunities at Lycoming. That upped his season totals to 79 rushes for 479 yards and eight scores. Cleveland has added 485 yards on 88 chances. He has reached the end zone twice. The defensive unit is second in the MAC in rushing (106.9 ypg), third in scoring (18.0 ppg) and fourth in total yardage (331.9 ypg). DelVal’s 18 points allowed per game is good for 34th in the nation. Senior safety Danny Wynne (Hatfield, PA/North Penn) produced his third consecutive game with double-digit stops, making 10 tackles last week. The two-time all-MAC selection also blocked an extra point attempt. Wynne leads the defense with 72 tackles. Sophomore safety Shawn Miller (Laurel, DE/Laurel) and senior linebacker Ethan Snyder (Catawissa, PA/Southern Columbia) have each made 56 stops with one forced fumble. In addition, Miller has registered two interceptions, including a 100-yard return for a touchdown against Stevenson. He was chosen the MAC Defensive Player of the Week after that game. Miller and Snyder combined for 10 tackles last week. Senior Rashaad Lighty (Pottstown, PA/Pottstown) has contributed with 41 tackles, including a team-best 10 for a loss. He is also first on the team with seven sacks and six forced fumbles, which is tops in Division III. Lighty, a 2014 all-MAC and all-ECAC honoree, totaled three tackles, two for a loss, two sacks and one forced fumble at Lycoming. After a 1-2 start, the Pride have been victorious in five of their last six matchups to bring their record to 6-3 (6-2 MAC). The defending conference champions can still secure a share of the MAC title with a win plus an Albright loss, but cannot receive the automatic bid due to a head-to-head defeat to the Lions. Widener likes to air out the football, leading the MAC in passing (327.9 ypg) and ranking 11th in the nation. The Pride are also first in the conference in total yardage (437.6 ypg) and third in scoring (30.6 ppg). Junior Alex Krivda took over the starting job under center after the Wilkes game. He is 134-of-222 for 1,424 yards and 14 touchdowns. Last week, Krivda completed 45 passes in 72 attempts for 406 yards and four scores to lead the Pride to a 50-20 home win versus FDU-Florham. Senior Philip Ragona is Krivda’s top target. The wideout has hauled in 67 passes for 684 yards and five trips to the end zone. Ragona made 11 receptions last game for 99 yards and a 13-yard score. JuniorsBlaine Price and Max Kutler have made 53 and 51 catches respectively. Blaine has amassed 668 yards and seven touchdowns while Kutler has gained 516 yards with five scores. Senior Robert Getz is the top rusher with 91 carries for 389 yards and 10 trips to pay dirt. He has also caught 36 passes for 232 yards. Getz had 43 rushing yards on eight attempts and four receptions for 39 yards versus FDU-Florham. The Pride have quietly been one of the best defenses in the nation, ranking ninth in total yardage (246.2 ypg), 11th in passing (155.4 ypg) and 16th in rushing (90.8 ypg). Widener leads the MAC in all three categories. The unit is also fourth in the conference and 36th in the country in scoring (18.1 ppg). Junior linebacker Steve Gozur is the leading tackler with 61, 9.5 for a loss. He also has two sacks and two forced fumbles. Gozur posted six stops last week. Junior Jacob Behornar follows with 59 tackles. He also has a forced fumble and made five stops against FDU-Florham. Widener boasts a fearful duo of pass rushers in senior linemen Brandon Jones and Stacey Sunnerville. Jones has totaled 56 tackles, 17.5 for a loss, 12.5 sacks and three forced fumbles. Last week, he produced five stops, three for a loss and two sacks. Sunnerville’s stats include 49 tackles, 20 for a loss, 13.5 sacks, one interception, two forced fumbles and one blocked kick. The two-time second team all-MAC selection made five stops last time out, three for a loss, two sacks, one forced fumble and one blocked kick.